Water heating accounts for around 25% of the Australian household energy use. The average life of a domestic water heater is around 12 years, so choosing the right system for your needs is a long term investment, and can make a real difference to your energy bills. Whether you are replacing an existing water heating system, building a new home, or just doing some research, this tool will help you compare your options. You’ll be asked a number of questions about your household and how you use hot water. The tool will use this information to provide a comparison of the upfront costs (purchase and installation), annual running costs, and lifetime costs of different types of water heaters. You can also compare the total greenhouse gas emissions produced. 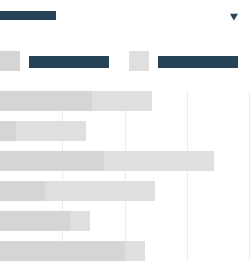 The results are shown in Your Results as an easy-to-read bar graph which you can track as you go. You can go back to any of the questions at any time to re-adjust your answers and view Your Results to see how this changes your results. The Residential water heater baseline study was done in 2014 and outlines the research that went into developing this calculator. Please complete your household details to access graphs. Your household details provide the basic information of your home. When answering these questions, keep in mind any major changes in your household that may occur in the next 10 years. Is your property connected to mains gas? Is mains gas available in your street? Answering these questions will make your results more accurate. Start from the personal hot water use for each member of your household by opening up every tab below, then move on to the shared hot water uses such as in kitchens and laundries. The default values shown in the tool are the values you would expect for a typical home. You can adjust these values so that they better reflect your household. Slide the values up or down, or enter a number in the box, to see how these change your results. The Info Tabs will also provide information to assist you. Number of showers per week? Approximate length of each shower (minutes)? Number of baths per week? How much hot water is used? How many bathrooms will the water heater service? What is the showerhead flow rate (litres/min)? How many sinks full of hot water are used in the kitchen each week? How many tubs full of hot water are used in the laundry each week? What sort of washing machine do you use? How many warm or hot water washes are done in your household per week? What is the washing machine's capacity? Listed are the most commonly types of water heaters for your situation. Click on each water heater option and you will find default values suited to your hot water needs. You can override the default. Slide the values up or down, or enter a number in the box, to see how these change your results. Your feedback is important to us. If you have any questions, concerns, or ideas that may help us make this tool better, please provide your comments and contact details below. Did you find the tool useful? What would you like to see in future tool updates?